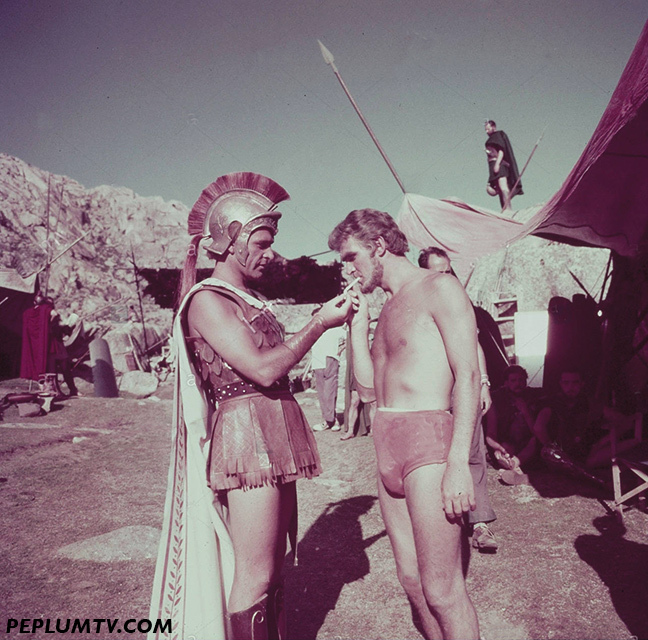 Richard Burton uses his cigarette to light up the Stanley Baker's cigarette during the filming of ALEXANDER THE GREAT. The two were best friends. Lovely picture, they were indeed friends, both from Wales and starting out about the same time. ALEXANDER THE GREAT is a fond childhood memory, its a bit turgid and Burton rants as usual, but there are some great visuals and a good cast. I like ALEXANDER THE GREAT...my only complaint is the ending, which ends with a thud.